There's been a lot of talk about "geo-fencing" lately, and its use as a cyber tool that can help keep kids safe, online and off. In case you are unfamiliar with this technology, a "geo-fence" is a virtual boundary around a real-world location on a map. Geo-fencing technology enables notifications to be sent when geo-fences are crossed, it can also be used to disable certain software or apps within a geo-fenced area. Here's how a geo-fence works: Say your smart phone-wielding 12-year-old decides to wander five blocks away from home to see a buddy, but you aren't comfortable with your child being that far away from home. Had you enabled his or her phone with software called KidTrack, for example, you could have used its geo-fencing capabilities to alert you if and when your child ventured outside of a pre-determined "zone." This software could have sent you a text letting you know that your child had crossed the geo-fence" you'd set up. Geo-fencing technology is not particularly new; it's been used for a while for localized mobile marketing and other things. But the ubiquity of mobile devices and applications, continued improvements in mobile location-based services, and enhancements to smart phones in general have made this technology increasingly powerful and popular. Some might even say it's become an important ally in the ongoing effort to keep kids safe online. Recently, Yik Yak, the new anonymous social messaging app for hyper-local engagement, brought geo-fencing to the awareness of many parents and educators when it took the bold move of geo-fencing almost all middle and high schools in the U.S. This was done in response to a growing bullying problem, mostly by kids who technically shouldn't be using the app (it's rated 17-plus in the Apple App Store) in the first place. Using geo-fences, with the help of Maponics, Yik Yak was able to effectively block the app from working on K-12 school grounds across most of the U.S. I'll be the first to admit it, parents today need all the help they can get, especially when it comes to keeping track of our kids and their behaviors, virtually and physically. But just like a physical fence can be scaled or circumvented, so can a virtual fence. In other words, unsavory speech and bad behavior is still happening online, it's just happening on the other side of the virtual fence. Just take a moment to read the feed of today's most popular apps and you'll see what I mean. Most parents who have actually peeked at the "conversation" streams on the "hottest" apps or software that kids are using are usually shocked by the language they see, and a typical knee-jerk reaction is to disable the app. This is understandable because, to borrow sage words found on a recent blog post on the Cyberbullying Research Center's website, "What many adults don't understand, they freak out about. Especially as it relates to teens." But rather than "shooting the messenger," it's helpful to step back and think of this online speech like graffiti on a real wall, often scrawled or spray painted in the dark of night. It's in kids' nature to push the envelope in spaces where adults are missing. When we should "freak out" and take action is when this speech devolves into actual cruelty or "cyber bullying." Even a geo-fence can't protect kids from that. Kids feel that grown-ups aren't particularly well-equipped to help them with cyber bullying, in part because the technology is so central to their social life and the parent's first solution is often to take away the offending technology, making the 'solution' worse than the bullying. There is also a concern when parents or other adults try to 'fix' bullying is that they step in and essentially debilitate the kid, rather than arming a kid with tools to defend his or herself. This reinforces the sense of victim and lack of agency. 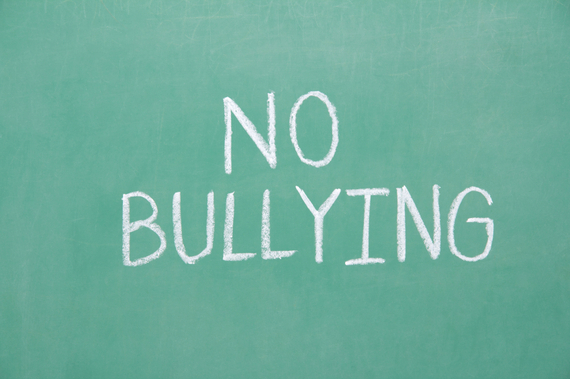 The interesting thing about bullying is research shows that bullying, overall, is actually in decline and traditional (in person) bullying is more prevalent than cyber bullying (Lenhart, 2007; Smith et al., 2008; Wang, Nansel, & Iannotti, 2011). "Bullying is about power. The research is mixed on the anonymity question because it's hard to feel powerful if no one knows what you did." 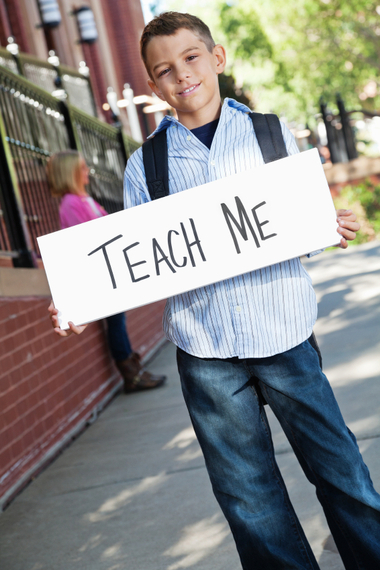 So if bullying is about power, what if kids were equipped with skills to "un-empower" bullies? The nice thing is that standing up to bullies online, especially on anonymous networks, doesn't require brawn, but only words and wit. If kids learned how to have each other's backs in virtual spaces, using words and wit as their weapons, then it would be as though they had their own personal virtual fences to protect them (and each other) from harm. While geo-fences are a terrific prevention, they're not a cure. Ultimately our goal should be to work together in social communities -- digital and physical--to find solutions that will help kids help each other and make bullying so five minutes ago. Start the ball rolling by asking your own kids how they protect themselves from cruelty online; I'd love to hear what they say! Please share it here.